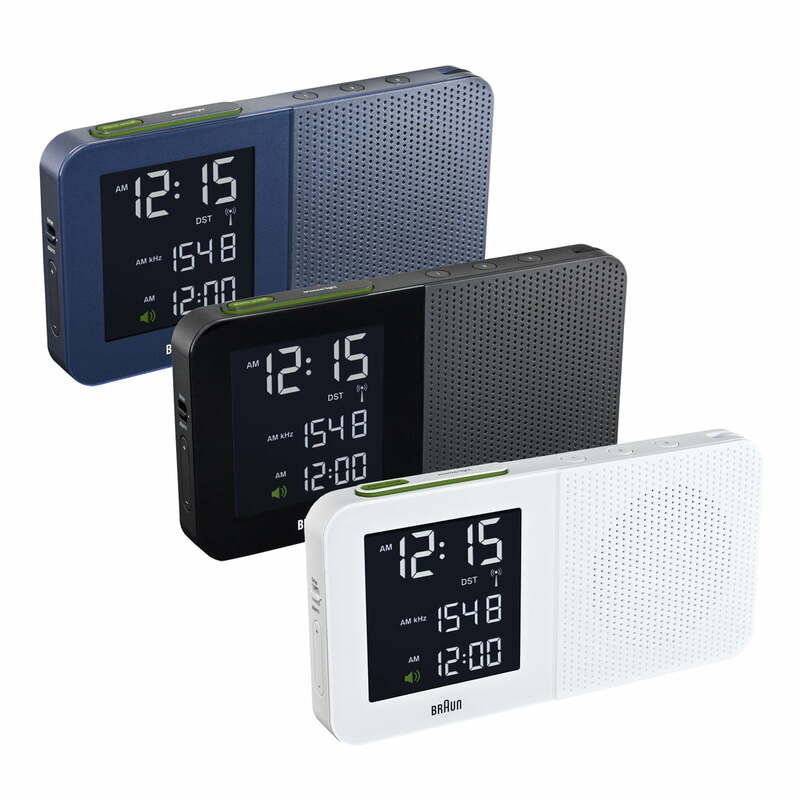 The classically designed alarm clock BNC010 by Braun is a sample of simple design. Behind the unostentatious appearance of the housing, many functions are hidden. The LCD display has background illumination making the time visible in the dark. The 24 hours display of the BNC010 is clearly readable and exceptionally straight-lined just like the housing. The comfortable alarm adjustment is complemented by a snooze-function. The radio function has FM/AM reception and six adjustable station buttons, as well as volume regulation and station search function. 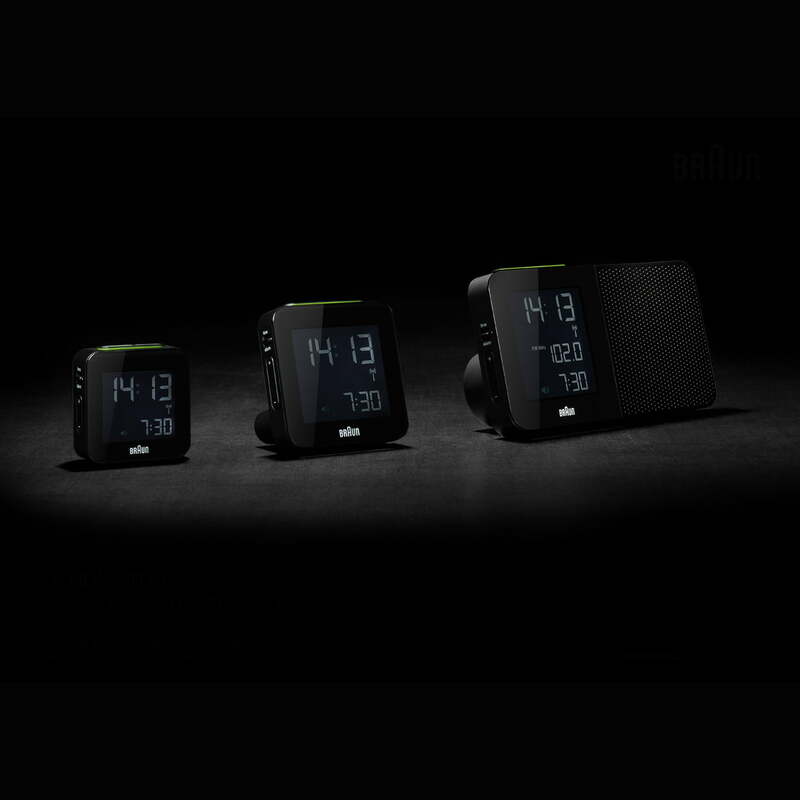 The radio alarm clock has radio reception all over the world thanks to its multiband technology. This makes the BNC010 also ideally suitable as travelling clock. 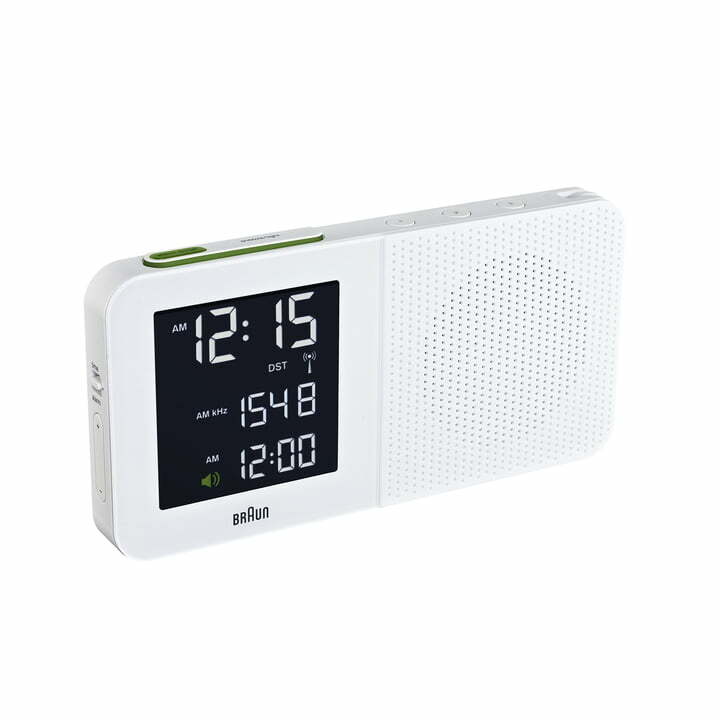 The radio alarm clock by Braun runs with batteries (included in delivery) or with a (optional, commercially available) 220 V adapter. Amount of batteries 4 pcs.